If you are looking for versatility, there are few things that fit the bill as easily as wood windows. Since wood windows can be handmade to any specifications, it's easy to opt for unusual shapes and sizes. Therefore, even the smallest and strangest windows can be easily carved out of wood and created to fit into your home's architecture. 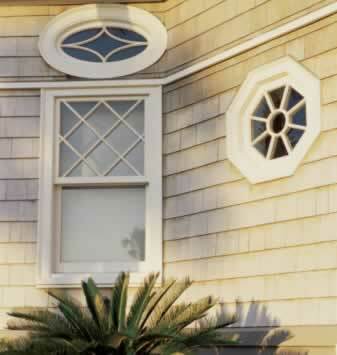 Major window manufacturers have a ready supply of octagons, ovals, circles, semi-circles, and other wood windows that fit into the most obscure areas of the home. For windows that are truly unique, check with a specialty shop or ask a major manufacturer if they have a smaller branch of the company that works just with unique windows. You might be surprised at all the leads you find! Small and unique windows in unusual places can offer natural light that shines down on your favorite objects, such as a small sculpture. These windows can be a design element that makes your home stand out!